DuChateau Floors are antique reproduction hard-wax oil floors developed in Holland. Our hardwood floors are designed to reflect the styles found in Europe from centuries ago. DuChateau Floors’ goal is to recreate the same time worn look that showcases the character and longevity of a hardwood floor. Our hardwood floor production philosophy is to create textured hardwood floors with changing grain pattern of the natural wood characterizing true artistic design. DuChateau Floors have a character of timelessness that fits with nearly every décor. They create warmth and coziness with lovely acoustics. 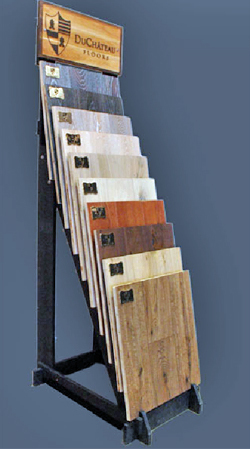 DuChateau Floors are ideal for commercial and residential applications.